The U.S has cleared the way for the use of citizen science by federal government agencies and departments in a new law titled the American Competitiveness and Innovation Act (ACIA) (awaiting presidential signature). The ACIA as a whole should be of interest to Canadians, as it lays out the principles for how the National Science Foundation (NSF) in the United States should approach its mandate to support scientific research. Earlier bills failed to reach acceptable compromises; some of these would have restricted types of scientific research funded by the NSF to specific sectors. This has echoes of the controversial choices in Canada under the previous government to focus on applied rather than basic scientific research. The American Competitiveness and Innovation Act has moved away from this narrow approach and sets out two main criteria for funding scientific research: intellectual merit and broader public impacts. The ACIA contains a distinct section titled the Crowdsourcing and Citizen Science Act (CCSA) which paves the way for the use by government agencies and departments of scientific research practices based upon distributed public participation. The CCSA defines citizen science as “a form of open collaboration in which individuals or organizations participate voluntarily in the scientific process in various ways.” (§402(3)(c)(1)) The level of participation can vary, and may include public participation in the development of research questions or in project design, in conducting research, in collecting, analyzing or interpreting data, in developing technologies and applications, in making discoveries and in solving problems. In its preamble, the CCSA acknowledges some of the unique benefits of crowd-sourced research, including cost-effectiveness, providing hands-on learning opportunities, and encouraging greater citizen engagement. Significantly, the CCSA also mandates that any data collected through citizen science research enabled under the legislation should be made available to the public as open data in a machine-readable format unless to do so is against the law. It also requires the agency to provide notifications to the public about the expected use of the data, any ownership issues relating to the data, and how the data will be made available to the public. (I note that these issues are addressed in my co-authored guide Managing Intellectual Property Rights in Citizen Science published by the Wilson Center Commons Lab.) The statute also encourages agencies, where possible, to make any technologies, applications or code that are developed as part of the project available to the public. This legislated commitment to open research data and open source technology is an important public policy statement. One barrier to the use of crowdsourcing and citizen science in the government context is the fear of liability within the risk-averse culture of governments. The CCSA addresses this by proving that participants in citizen science projects enabled under the statute agree to assume all risks of participation, and to waive any claims of liability against the federal government or its agencies. The CCSA permits federal agencies to partner with community groups, other government agencies, or the private sector for the purposes of carrying out citizen science research. After a two-year grace period, the statute also requires the filing of reports on any citizen science or crowd-sourcing projects carried out under the CCSA, and contains detailed requirements for the content of any such report. The inclusion in this science and innovation bill of provisions that are specifically designed to facilitate and encourage the use of citizen science by governments is a significant development. It is one that should be of interest to a federal government in Canada that is attempting to carve out space for itself as open, pro-science and keen to engage citizens. Citizen science has significant potential in many fields of scientific research; it also brings with it benefits in terms of education, citizen engagement, and community development. Citizen science is the name given to a kind of crowd-sourced public participatory scientific research in which professional researchers benefit from the distributed input of members of the public. Citizen science projects may include community-based research (such as testing air or water quality over a period of time), or may involve the public in identifying objects from satellite images or videos, observing and recording data, or even transcribing hand written notes or records from previous centuries. Some well-known citizen science projects include eBird, Eyewire, FoldIt, Notes from Nature, and Galaxy Zoo. Zooniverse offers a portal to a vast array of different citizen science projects. The range and quantity of citizen science experiences that are now available to interested members of the public are a testament both to the curiosity and engagement of volunteers as well as to the technologies that now enable this massive and distributed engagement. 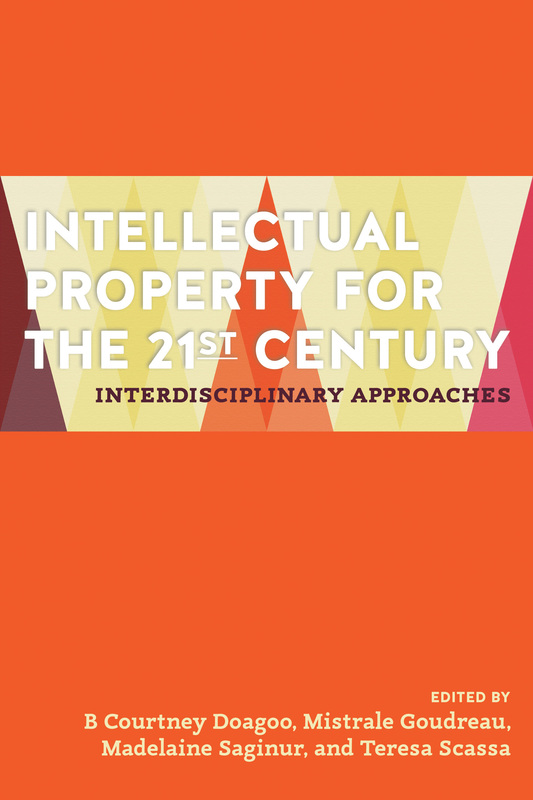 Scientific research of all kinds – whether conventional or involving public participation – leads inevitably to the generation of intellectual property (IP). This may be in the form of patentable inventions, confidential information or copyright protected works. 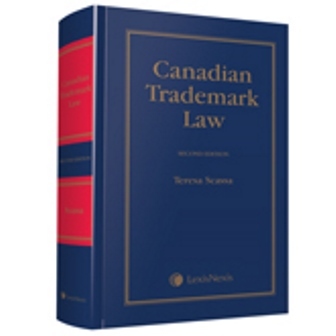 Intellectual property rights are relevant to the commercialization, exploitation, publication and sharing of research. They are important to the researchers, their employers, their funders, and to the research community. To a growing extent, they are of interest to the broader public – particularly where that public has been engaged in the research through citizen science. What IP rights may arise in citizen science, how they do so, and in what circumstances, are all issues dealt with by myself and co-author Haewon Chung in a paper released in December 2015 by the Commons Lab of the Wilson Center for International Scholars in Washington, D.C. Titled Best Practices for Managing Intellectual Property Rights in Citizen Science, this paper is a guide for both citizen science researchers and participants. It covers topics such as the reasons why IP rights should be taken into account in citizen science, the types of rights that are relevant, how they might arise, and how they can be managed. We provide an explanation of licensing, giving specific examples and even parse license terms. The paper concludes with a discussion of best practices for researchers and a checklist for citizen science participants. Our goal in preparing this report was to raise awareness of IP issues, and to help researchers think through IP issues in the design of their projects so that they can achieve their objectives without unpleasant surprises down the road. These unpleasant surprises might include realizing too late that the necessary rights to publish photographs or other materials contributed by participants have not been obtained; that commitments to project funders preclude the anticipated sharing of research results with participants; or that the name chosen for a highly successful project infringes the trademark rights of others. We also raise issues from participant perspectives: What is the difference between a transfer of IP rights in contributed photos or video and a non-exclusive license with respect to the same material? Should participants expect that research data and related publications will be made available under open licenses in exchange for their participation? When and how are participant contributions to be acknowledged in any research outputs of the project? In addition to these issues, we consider the diverse IP interests that may be at play in citizen science projects, including those of researchers, their institutions, funders, participants, third party platform hosts, and the broader public. As citizen science grows in popularity, and as the scope, type and variety of projects also expands, so too will the IP issues. We hope that our research will contribute to a greater understanding of these issues and to the complex array of relationships in which they arise. Note: This research paper was funded by the Commons Lab of the Wilson Center and builds upon our earlier shorter paper: Typology of Citizen Science Projects from an Intellectual Property Perspective: Invention and Authorship Between Researchers and Participants. Both papers are published under a Creative Commons Licence. I am just back from the inaugural conference of the newly formed Citizen Science Association. If there were any doubt about the explosion of interest in citizen science, this conference, with its packed agenda and 600 registered attendees would lay it to rest. Citizen science is a term whose definitional boundaries are constantly being expanded. It is sometimes also called public participatory scientific research, and broadly interpreted it could reach so far as to include open innovation. Like many other forms of collaborative and co-creative engagement, citizen science involves harnessing the labour or ingenuity of the crowd with a view to advancing scientific knowledge. Iconic citizen science projects range from eBird (involving the public in reporting and recording bird sightings), GalaxyZoo (engaging the public in classifying distant galaxies) and Nature’s Notebook (which asks the public to help track seasonal changes). Citizen science projects also stray into the biomedical realm and can cross commercial/non-commercial lines. PatientsLikeMe offers a forum for individuals to share information about their illnesses or medical conditions with researchers and with others with the same affliction. 23andMe provides individuals with information about their DNA (which participants contribute), and SNPedia provides individuals with resources to help them in interpreting their own DNA. But in addition to these more well-known projects, are thousands of others, on large and small scales across a range of scientific fields, and engaging different sectors of the public in a very broad range of activities and for a similarly broad spectrum of objectives. My own interest in citizen science relates to the legal and ethical issues it raises. Not surprisingly, there are significant privacy issues that may be raised by various citizen science projects – and not just those in the biomedical sphere. There may also be interesting liability issues – what responsibility is engaged by researchers who invite volunteers to hike treacherous mountain trails to find and record data about elusive plant or animal species? Currently, my work is on intellectual property issues. Timed to coincide with the inaugural CitSci 2015 conference was the release of a paper I co-authored with Haewon Chung on intellectual property issues as between researchers and participants in citizen science. This paper was commissioned by the Woodrow Wilson Center for International Scholars Commons Lab, and we are continuing to expand our work in this area with the support of the Wilson Center. Our paper invites participants and researchers to think about intellectual property in the context of citizen science, in large part because IP issues are so fundamental to the ability of researchers, participants, and downstream users to ultimately access, use and/or disseminate research results. Relationships between researchers and participants are not the only ones of importance in citizen science – we will expand beyond these in our future work. But these relationships are nonetheless fundamentally important in citizen science. To the extent that intellectual property law is about both the relationship of authors to their works and about the relationship of authors and others in relation to those works, these issues should be part of the design of citizen science projects. Our paper, which is meant primarily for an audience of citizen science participants and researchers, develops a typology of citizen science projects from an IP point of view. We group citizen science projects into 4 broad categories defined by the type of contribution expected of participants. In some cases the nature and degree of participation makes it unlikely that participants will have any IP claims in their contributions to the project; in other cases, participants are regularly invited to contribute materials in which they may hold rights. We suggest that researchers think about these issues before launching their project with a view to avoiding complications later on, when they try to publish their research, decide to make their data fully open online, or make other dissemination plans. In some cases, the level of involvement of participants in problem-solving or data manipulation may also raise issues about their contribution to an invention that the researchers eventually seek to patent. Identifying the IP issues is a first step – addressing them is also important. There are many different ways (from assignment of right to licensing) in which the IP rights of contributors can be addressed. Some solutions may be more appropriate than others, depending upon the ultimate goals of the project. In choosing a solution, researchers and project designers should think of the big picture: what do they need to do with their research output? Are there ethical obligations to open citizen science data, or to share back with the participant community? Do they have particular commitments to funders or to their institutions? Even if research data is made open, are there reasons to place restrictions on how the data is used by downstream users? These are important issues which have both a legal and an ethical dimension. They are part of our ongoing work in this area.